Taste of Terroir -- LAST CHANCE! Today is the last day to purchase tickets! 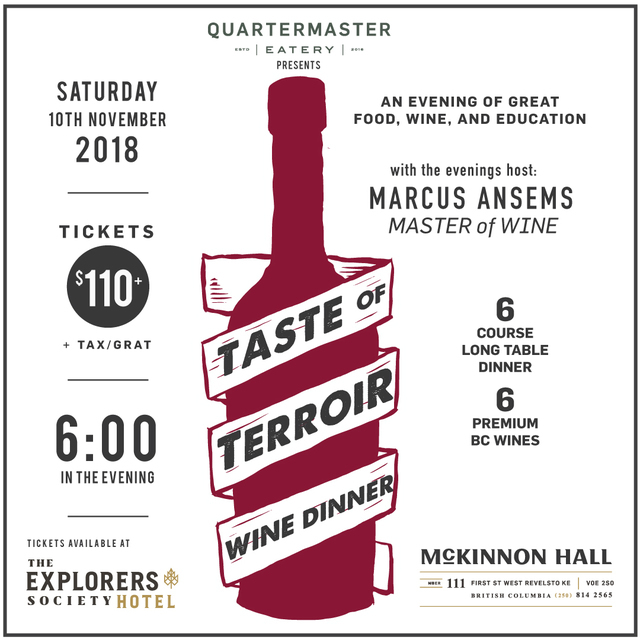 6 courses of delicious food, perfectly paired wine, hosted by Marcus Ansems - one of 6 Masters of Wine in Canada, and a second generation winemaker. Truly not an event to miss -- head over to our events page, learn more, and call us to book your tickets today!